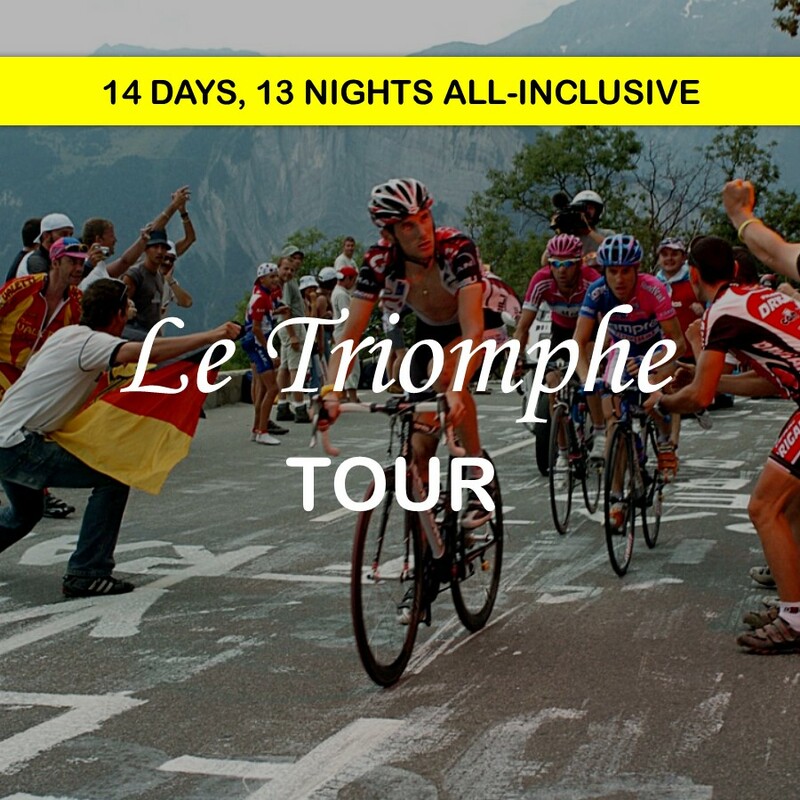 The Le Triomphe 14-day Tour de France experience is now open for booking. If you want to be part of the up close action of the Tour de France, climb 4 iconic mountain passes, stay in excellent accommodations, have all meals and snacks covered, and enjoy a VIP pass to the Tour de France finish line in Paris, this is the ultimate cycling fan tour! For full details, pricing and detailed itinerary, please click the button below. Space is very limited, so book your deposit today. A shorter itinerary, but FULL of everything a cycling fan wants in a Tour de France experience! Enjoy awesome accommodations, meals, ground transportation, and First Class TGV train tickets in addition to plenty of cycling, 3 iconic climbs, 2 custom cycling jerseys, swag, and VIP passes to the Tour de France finish line in Paris. Click the button below for the full itinerary, photos, videos, prices, and complete list of inclusions. Book your deposit today to guarantee your spot. Break out of the typical race calendar and consider combining a legendary triathlon like IRONMAN New Zealand with the ultimate race week support tour. Check out all the details and register here. Are you looking to do a fast, flat half-distance race in a beautiful environment with white sand beaches and warm sunshine? Look no further than Challenge Aruba with RaceQuest Travel and Challenge Tours in October! Our 4-night Challenge Aruba tour has all the athlete and spectator "perks" you're accustomed to on all of our race week tours and training camps. We include everything you need to have a seamless race experience. See pricing, details and booking information here. Race the Way of Legends 6-Stage Ultra! Spain's ultimate cultural foot race presents the second edition with six unique stages covering a total of 254 km. With a finish line at the World Heritage Burgos Cathedral, and miles and miles of stunning scenery along the Camino de Santiago, we invite you to race this all-inclusive event with us October 13-21, 2017. LIMITED ENTRIES AVAILABLE. For the full course description, photos, and how to enter, please click here. 2018 ROTH RACE ENTRY AVAILABLE - BOOK NOW! 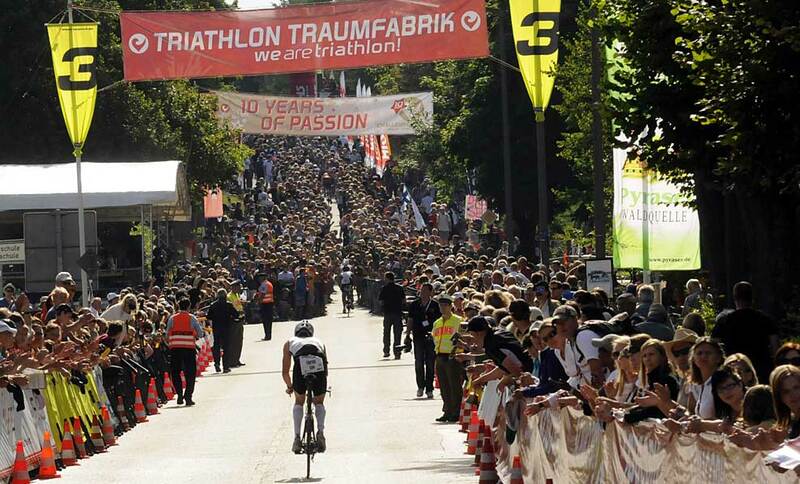 One of the legendary races in all of sport, Challenge Roth presents a swift and scenic course, organized with German precision and infused with the unabashed enthusiasm of more than 260,000 spectators. It's der thrill ride disguised as a long-course 140.6 mile triathlon. RaceQuest Travel delivers the ULTIMATE turnkey Challenge Roth travel package with our travel partners under our Challenge Tours banner. RaceQuest Travel is honored to be the Official Travel Partner of the Americas for Challenge Family. As a RaceQuest Travel client, you will enjoy exclusive support with pre-race guidance in our Facebook group, a free online webinar with valuable race insights, and access to training plans written exclusively for RaceQuest Challenge Roth athletes. To sign up for 2018, go to this page. A non-refundable and non-transferable deposit of $500 will then be required to confirm your slot. All race slots must be paired with a travel package from RaceQuest and Challenge Tours. This tour offer and race entry is open to all triathletes residing in the United States, Canada, and Central and South American countries. Let's redefine "epic." The 2nd edition of Challenge Galway (Ireland) will sweep you up in a landscape and race atmosphere that will propel you to new heights. The long-course 140.6 mile event in late June (likely June 24) includes a sea swim in a protected inlet, a bike ride that takes in The Burren and Cliffs of Moher (UNESCO Global Geopark), climbs the famous switchbacks of "Corkscrew Hill" and rounds out with a fairly flat 4-loop run course through the spirited streets of Galway. We offer a comprehensive 5-night race slot travel package that will make racing this event smooth and seamless. We include our signature athlete concierge services, round trip airport transfers from Dublin or Shannon, 4-star accommodations, swim, full bike, and run course tours, and planned training activities during your stay. As part of Challenge Tours and the Official Travel Partner of the Americas for Challenge Family, RaceQuest Travel provides special access to this race with guaranteed race slot entry available. Our welcoming hosts at Challenge Galway are eager to share the magic of this breathtaking course with you. In addition to the 140.6-mile race, Challenge Galway offers the "half" distance of 70.3 miles. It's ideally suited for your team or club! Booking for this event will be open soon. Watch the video and read more details here. RaceQuest Travel bases training camps and active vacations in Costa Rica several months each year. We regularly swim, bike and run the new IRONMAN Costa Rica 70.3 course. Our Las Catalinas location is quiet, private, and luxurious, offering you and your guests a beautifully furnished, 5-star accommodation in several configurations to meet your needs. Once you've secured your race registration for IRONMAN Costa Rica, book one of our convenient options and get ready to have an amazing race-cation with RaceQuest Travel. We offer single occupancy and double/twin share accommodations. Within our oceanfront community, you can walk outside your door and take a dip in the 4-lane, 25 meter training pool. Or, simply enjoy the beach and open water swimming in the clear, warm waters of the Pacific. As our guest at Las Catalinas, you also receive access to the private Beach Club with spa, advanced gym, and 25-meter lap pool. An extraordinary long-course triathlon awaits you at Challenge Venice! Join RaceQuest for this 6-night authentic Italian experience that makes gives new meaning to the phrase, "destination racing." We've built a race week tour that includes everything you need to enjoy your time in Italy: greeting you at the Marco Polo Airport, ground transportation during your stay, 6 nights of luxurious accommodation in a noble villa near the race, touring in Venice, race day support, and memories to last a lifetime. This is an exclusive, small-group travel experience that's priced from just $1395 per person, double occupancy. We can also reserve an entry into Challenge Venice at the "early bird" price. For more details and to make a booking into this special tour, click here. Traverse the reverent Himalayan kingdom of Bhutan, beckoned by perhaps the ultimate finish line, "Tiger's Nest" (Paro Taktsang Monastery), an iconic site situated on a precipitous cliff 3,120 meters (10,240 ft) above the Paro valley. Our adventure run is 200km of total distance, with 6 distinct stages. It's challenging, but incredibly rewarding, as you run, walk and climb the course of one of the true remaining "adventures" still out there. RaceQuest Travel has supported this event since its inception. We routinely host the top XTERRA athletes in the world here for both trail running and off-road triathlon, and welcome athletes of ALL experience levels to join us in Costa Rica! What makes this long weekend in April, 2017 so attractive is the beachfront location and the number and variety of events you can participate in. From the Sprint or Olympic-distance off road triathlons to trail runs in your favorite distance, there is truly something for every athlete at XTERRA Costa Rica. Our race travel package is comprehensive, and priced at just $1,095 per person, double occupancy ($1,695 single occupancy). Races take place on April 8-9, 2017. Welcome Basket loaded with essentials and plenty of athlete "swag"
Race in the unspoiled adventure paradise of Costa Rica! Join us for an incredible "bucket list" triathlon at Lake Taupo, New Zealand Feb. 28 - March 6, 2017. With one of the most international fields and beloved courses on the IRONMAN circuit, your journey to Taupo will be one of the most rewarding race-cations of your life. We have access to discounted race entries if you need a slot, and we're now booking the 6 night race tour as well. Prices for the tour start at just $1495 per person, double occupancy. 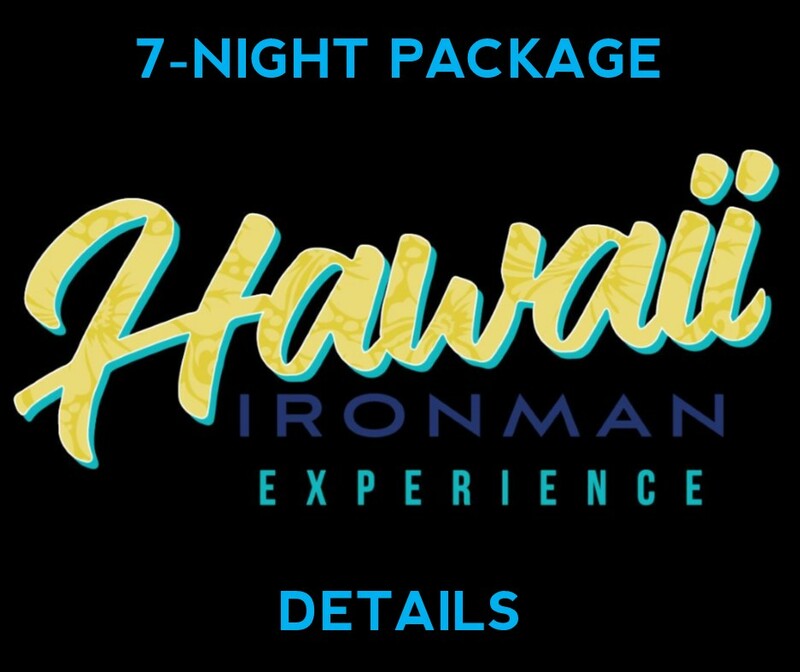 Check out the details here and book IRONMAN New Zealand today. Celebrating its 14th Anniversary in 2018 is the breathtakingly beautiful but, as the name of the race indicates, "challenging" Coastal Challenge Rainforest Expedition Run in Costa Rica. With 2 race distance options, plus the option of running either distance as part of a team or on your own, there's a running sweet spot for everyone. The Coastal Challenge, or "TCC" as locals call it, is a 6-day stage race that's run along 236km of the lush and tropical Costa Rican Pacific coastline. There are two distance categories: the full 236km "Expedition" run, or the "Adventure" run that covers roughly half that distance (118km). Don't miss the video and more information on our web page then place your deposit to take a spot on the RaceQuest Travel team. Pura Vida!